A celebration of the woodcut technique, CUT brings together a selection of modern and contemporary woodcut prints from a diverse range of artists selected by GPS Director, John Mackechnie RSA. 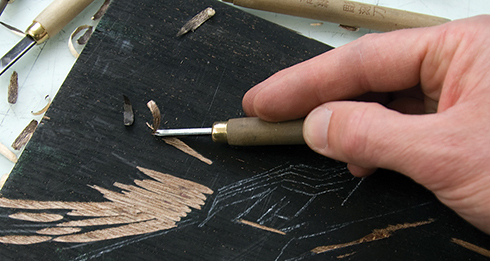 One of the oldest methods of printmaking, the woodcut is based on the principle of cutting or gouging away part of the surface of a block so that the image area to be printed stands out in relief to form a printing surface. Originating in the East in the 8th century, the technique arrived in Europe around the 13th century, though the western tradition of woodcut is often said to have culminated in the late 15th century with the highly detailed work of Albrecht Dürer. 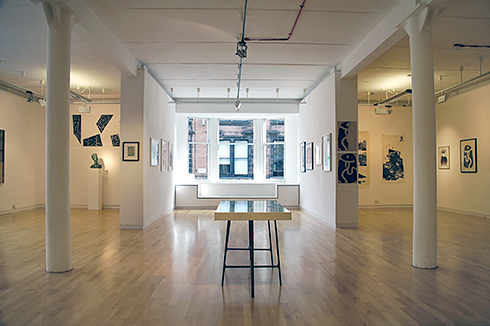 The exhibiting artists have used woodcut printmaking either as the primary method of producing images or have combined it with other techniques and media, including innovative digital technologies. 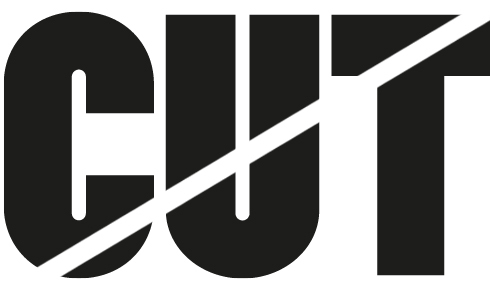 CUT aims to illustrate the wide range of possibilities within the technique from the traditional to the inventive. CUT celebrates the simplicity and vibrancy of the woodcut from the bold and dramatic work by Peter Howson and Grayson Perry to more subtle and intricate works of artists such as Paul Furneaux and Elspeth Lamb. Claire Barclay, Elizabeth Blackadder, Martin Boyce, Steven Campbell, Eileen Cooper, Ann Desmet, Ian Fleming, Paul Furneaux, Zhang Guanghui, Tom Hammick, John Houston, Peter Howson, Ying Jinfei, He Kun, Akira Kurosaki, Elspeth Lamb, Sara Lee, Fang Limin, Ian McCulloch, GW Lennox Paterson, Grayson Perry, Chen Qi , Rebecca Salter, Zheng Shuang, You Yu, Katsutoshi Yuasa, Adrian Wiszniewski, Zhang Xiaofeng. Joy Bain, Lin Chau, Roger Farnham, Alistair Gow, Norman Sutton-Hibbert, John Houston, Joyce Leitch, John Mackechnie, Sue Mackechnie, Janka Malkowska, Liz Muir, Martin Napier, Murray Robertson. "If you have ever done a potato cut you will love and understand CUT, a celebration of WOODCUT in all its glory, from fine engravings to big, bold hacking with a side detour to Asian style work." 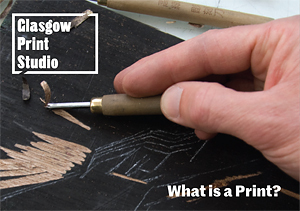 To find out more about woodcut and printmaking in general click here. Image: Grayson Perry, 'Snapshot of Julie No.1' from 'Six Snapshots of Julie (colour)' 2015, a series of 6 woodcuts with lithographic underlays. Sheet size 72.5 x 48.5 cm. Edition of 68.